The next SedNet conference will be held on 23-26 September 2015 in Krakow, Poland. Theme of the conference is “Solving societal challenges; working with sediments”. The Call for Abstracts is now open! Deadline for submission of abstracts is 15 January 2015. See for the full text of the Call and the template for abstracts:www.sednet.org. OVAM is the Public Waste Agency of Flanders. OVAM was initially only responsible for waste management and waste prevention, but later on soil remediation was included as well. OVAM works out and implements its soil and waste policy. In 1995, Flanders got a more specific legislation on soil remediation: the soil remediation decree. This decree provides the Flemish government with a powerful instrument to fight historical as well as recent soil pollution. OVAM has set a number of priorities in its soil policy, and one of them is the remediation of polluted sediments in accordance with the European Water Framework Directive. SedNet can provide OVAM with a network that can help OVAM to tackle polluted sediments by giving scientific insight, by working together on policy making, and by opening our eyes for all sediment related issues so that we can work towards a holistic approach. I, myself, really like the saying: ‘If you work hard, you add up. If you co-operate, you multiply… ‘ . In Flanders we aim at an integral, source oriented approach of the water system. As the soil (under water) and sediment are part of this water system, a good management of the soil and the sediment present in rivers is absolutely part of this aim. The final goal is to recover the natural sediment balance of rivers and to obtain a good quality of the river system. For the Department of Mobility and Public Works the navigability of waterways is of course of major importance. But as a member of the Coordination Commission of Integrated Water management, all aspects of sediment management are taken into account. Besides several of these aspects, like quantitative and qualitative prevention, will have a positive impact on the amount and quality of dredged material. cd2e (Centre de Développement d’Eco Entreprises) is an eco-transition cluster which is an active stakeholder and very involved in the Nord/Pas-de-Calais region (in North of France) in several fields of competence. The cd2e team is composed of 32 experts in various fields. Waste recycling is one of the fields on which cd2e is a main stakeholder. In this set of fields, reusing dredged material is a subject on which the cd2e has worked for more than ten years with other main stakeholders such as School of Mines Douai and the Regional Council of Nord/Pas-de-Calais. cd2e is one among the 5 partners of the national approach SEDIMATERIAUX for management and reuse of dredged sediment. cd2e manages the Resource Center SEDILAB (Sediment Laboratory) on the reuse and on the ground management of dredged sediment. SEDILAB was launched in June 2013; for its missions and objectives seewww.sedilab.com. More information on www.cd2e.com. The Sava River Basin is shared by five countries: Slovenia, Croatia, Bosnia and Herzegovina, Montenegro and Serbia, while a negligible part of the basin area also extends to Albania. Slovenia, Croatia, Bosnia and Herzegovina, and Serbia are Parties of the Framework Agreement on the Sava River Basin (FASRB). The implementation body of the FASRB is the International Sava River Basin Commission (ISRBC) which is responsible for development of joint plans and programs regarding the sustainable water management among others. ISRBC has developed the Protocol on Sediment Management to the FASRB which affirms the need for efficient cooperation among the Parties and for promotion of sustainable sediment management (SSM) solutions. To respond to the above mentioned needs, a project Towards Practical Guidance for Sustainable Sediment Management using the Sava River Basin as a Showcase has been launched upon the initiative of UNESCO Venice Office, together with the UNESCO International Sediment Initiative (ISI), European Sediment Network (SedNet) and the International Sava River Basin Commission (ISRBC) aiming to develop and validate a practical guidance on how to achieve a SSM Plan on the river-basin scale, using the Sava River Basin as a showcase. 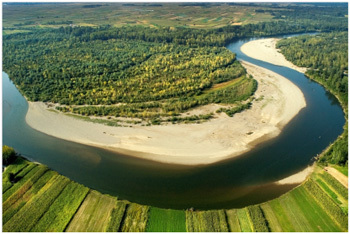 The project Estimation of Sediment Balance for the Sava River (BALSES) has been implemented by the core expert group which has analysed the sediment balance for the main Sava River course, considering the input from the main tributaries, and thus to form a basis for sustainable transboundary sediment and water management. The full document about the Estimation of Sediment Balance for the Sava River can be downloaded from the website of the International Sava River Basin Commission www.savacommission.org and is also available viawww.sednet.org. Remediation of contaminated sediments commonly targets the complimentary goals of protecting human health and the environment and restoring impaired environmental resources to beneficial use. Remediating contaminated sediment sites is challenging from a technical and risk-management perspective. A new ITRC web-based guidance document presents a remedy selection framework for contaminated sediments to help project managers evaluate remediation technologies and develop remediation alternatives based on site-specific data. General categories of contaminated sediment remedial technologies covered in the guidance document include monitored natural recovery (MNR) and enhanced monitored natural recovery (EMNR), in situ treatment, capping (conventional and amended), and removal (dredging and excavation). Additional factors that need to be considered as part of the evaluation process are summarized (e.g. feasibility, cost, stakeholder and local governments concerns, and others). This new ITRC guidance document can be accessed at www.itrcweb.org. ITRC offers a free corresponding Internet-based training course on contaminated sediment remediation as well. Already for the third time the International Magdeburger Seminar on River Protection took place at the origin of the River Elbe in Špindlerův Mlýn, Czeck Republic. The 16th edition of the traditional seminar, which was initiated in Magdeburg in 1988, focused on the state of the river Elbe and new challenges. During the opening ceremony, the ICPER Sediment Management Conceptwas officially presented and made available to all participants by ICPER President Dr Helge Wendenburg. Due to the effort of an expert working group, this concept was released in time to have an impact on the second management cycle of the Water Framework Directive. It contains recommendations for a good sediment management practice within the Elbe riverbasin for achieving supra regional objectives. It is available for download at the ICPER website. At the seminar more than 150 experts from the Czech and German part of the Elbe discussed about the state, quality and need for remediation of the Elbe. Meteorological extreme events have been a rising issue in recent years. Also results of several studies carried out under the scope of the ELSA project were highlighted, representing the work of the past years in which a solid basis for projects to follow was established. Examples are the optimization of the Mulde reservoir for keeping contaminated sediments from the Elbe, but also the remediation of parts of the Bilina tributary. Also further issues dealing with aquatic life and habitat as well as hydromorphology were part of the discussion. The post program of the conference had three excursions to offer, one of them taking the participants to a very special place – the symbolic spring of the river Elbe within the giant mountains which was well-regarded by everybody. Conference material, including presentations given, will be made available at www.ikse-mkol.org. The next International Magdeburger Seminar on River Protection was announced to be held in October 2016 in the city of Dresden, Germany. Main topics will be urban waters and its management. It is well recognized that the scientific knowledge on coastal dynamics should contribute to coastal zone management. However, so far, generation of data on coastal processes has been conducted almost exclusively by the research community. Therefore, the data sets and results are made available in ways that suit that community, but frequently preclude direct application in coastal management. Moreover, managers have an empirical knowledge and detained a plethora of site-specific information about the coast that can be highly valuable for researchers, which is often overlooked by the research community. In October 2013, the SedNet community was invited to participate in a survey that addressed this topic under the theme of Coastal Knowledge Transfer Between Researchers and Managers. Results now available from this study show that assuring that coastal research is a source of application-oriented knowledge is an ambition shared by researchers and managers. Also, although the standard communication process is usually linear and takes place in a one-way route, since coastal managers can also be relevant knowledge generators, knowledge transfer will strongly benefit from adopting a two-way route approach. Improving coastal knowledge transfer will imply an effort to overcome existing gaps in the communication process namely in fostering the existing mechanisms to improve knowledge transfer such as the use of coastal indicators, the existence of linkage agents, the development of managers oriented-tools, tools to support self-acquisition data, and further “get-together” mechanisms: meetings and seminars involving researchers and managers. A key finding was that the perception of coastal researchers and managers concerning gaps in knowledge transfer reflects an unexpected general agreement: this proximity can constitute a major opportunity in bridging these communities together and in the implementation of a two-way route communication approach, thus increasing and improving the role of managers in the coastal knowledge transfer processes. The authors warmly thank the participation of those who have the possibility to contribute to this study. For further information please contact Mafalda Carapuço (e-mail mmcarapuco@fc.ul.pt). Source: Carapuço, MM., Taborda, R., Andrade, C., Freitas, MC. 2014. Improving coastal knowledge transfer between researchers and managers: a two-way route. In: Cessa, M. (ed). Beaches: Erosion, Management Practices and Environmental Implications. ISBN 978-1-63117-239-7.
International RiverFoundation has awarded the 2014 Thiess International Riverprize to the River Rhine. The award was presented in front of river professionals from all over the world at the Riverprize Gala Dinner, held in conjunction with the International Riversymposium in Canberra, Australia, on Tuesday 16 September.The International Commission for the Protection of the Rhine (ICPR) received the award for bringing Europe’s River Rhine back to life following a devastating chemical accident in 1986, which wiped out nearly all biological life. Prior to the accident, industrialisation and burgeoning populations had already caused major degradation to the river and as early as the 1960s, the Rhine, which flows through six countries, was notoriously known as the “sewer of Europe”. The River Rhine was awarded the IRF European Riverprize in 2013, and therefore automatically qualified as a finalist in the Thiess International Riverprize this year. The Rhine trumped the Glenelg River (Australia), the San Antonio River (USA) and the Petitcodiac River (Canada) to take home the top award. The restoration of the Rhine has taken the best part of a century, and involved extensive transboundary river management and cooperation. Now, almost all of the 58 million inhabitants of the Rhine catchment are connected to urban wastewater treatment plants, water quality has improved considerably and inventories show that fish species composition in the Rhine is almost back to what is was before the chemical spill. Mr Borchardt and Dr Anne Schulte-Wülwer-Leidig, Deputy Head of Secretariat at the ICPR, were spending the week in Canberra at the 17th International Riversymposium, where they have presented a case study on the River Rhine to an audience of over 400 river experts from 28 countries around the world. The ICPR have also commenced knowledge exchange activities as part of their 2013 European Riverprize win. The International RiverFoundation awards the prestigious Thiess International Riverprize annually, giving recognition, reward and support to those who have developed and implemented outstanding, visionary and sustainable programs in river management. The dredged material seminar which took place in Rostock, Germany, 24 to 25 September 2014, was again a great success. In the year 2000 the first Rostock dredging seminar was organised and it is still the only nationwide periodic event on dredging and dredged material management. This conference is an established event and is organized by the Steinbeis Transfer Centre of Applied Landscape Planning under the auspices of the technical committee on dredged material of the HTG (German Port Technology Association) and the University of Rostock. The conference addresses scientists, authorities and industries and brings together the different scientific fields to develop the German dredged material management efficiently and sustainably. The lectures cover the most recent research and development in the field of dredging in Germany, however, brainstorming and discussion of the different aspects of the dredged material management are equally important aims of the seminar. We understand the Rostock seminar as an innovative platform to establish contacts and to bring new ideas up to a level where they will actually be brought into action. This year over 100 participants mostly from Germany were informed about the Dutch legislative framework for (re)use of dredged material. In the key note presentation Mr. Molenaar (senior advisor at the Dutch Ministry of Infrastructure and Environment / Rijkswaterstaat) pointed out a change in the policy and legislation for reuse of dredged material in the Netherlands. Another main topic was the application of dredged material in dike construction with lectures from Hamburg, informing about a long-term field test in the Hamburg harbour, and from Rostock, with the latest news from the EU project DredgDikes (www.dredgdikes.eu). Also, aspects of remediation/restoration of fresh waters and the application of ripened dredged materials in agriculture were presented. The 9th Rostock dredged material seminar will be hold prospective at 27 to 28 September 2016. As yet the idea is to discuss sustainable dredging and reuse together with the environmental authorities during the next event. Stakeholders from Denmark could give an insight view in their dredged material handling and nature conservation. The second prospective aspect is to show how divergent topics –e.g. the need for onshore deposition in dewatering fields and the creation of habitats for wading birds– can be joined. Finally, there shall be presentations showing what is going on in science regarding the potential of contaminant release from dredged materials. 14-15 October 2014: SETAC Europe Special Science Symposium (SESSS) on the Bioavailability of organic chemicals: linking science to risk assessment and regulation. 27-29 October 2014: 6th European River Restoration Conference in Vienna, Austria. Deadline for Abstract Submission is 31 October 2014. AquaConSoil is organized by Helmholtz Centre for Environmental Research – UFZ and Deltares. 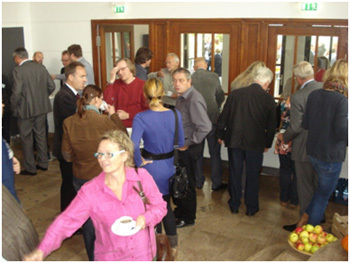 Local co-organizer of the event is a consortium consisting of Danish scientists, policy makers, planners and practitioners, headed by the ATV Foundation of Soil and Groundwater. The Call for Abstracts is now open. Deadline for abstract submission is 30 November 2014. A declaration of intent must be filled out before October 30, 2014 using the electronic form available here. The final communication can be sent from October 31st, to December 1st, 2014. ECSA are inviting delegates to propose and convene special organised sessions for ECSA 55.